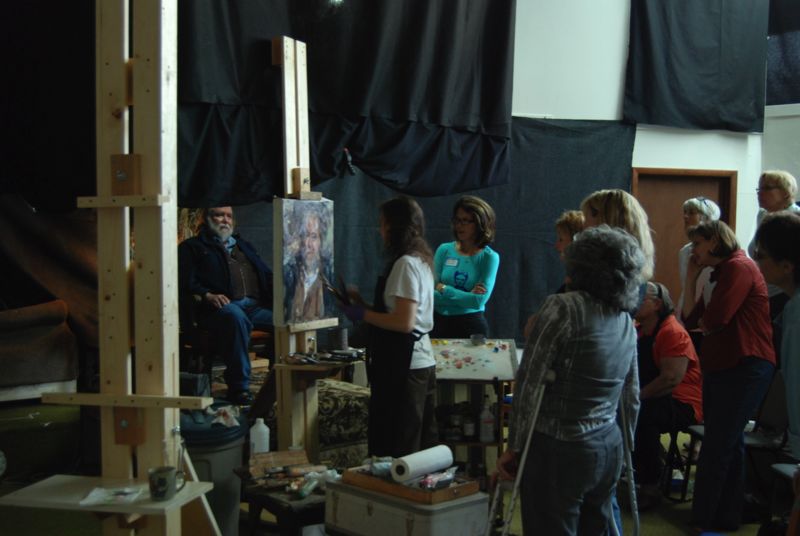 Rose offers five-day intensive workshop exploring alla prima portrait painting in oil at her studio in Maquoketa, iowa. Rose gives a portrait demonstration on the first day. Over the next 4 days, participants paint two portraits, with two models posing for two days each. We cover many aspects of portrait painting, from palette choices to drawing to seeing the colors/forms found in the models, all the while attempting to capture the essence of the person by maintaining a sensitive and patient eye. 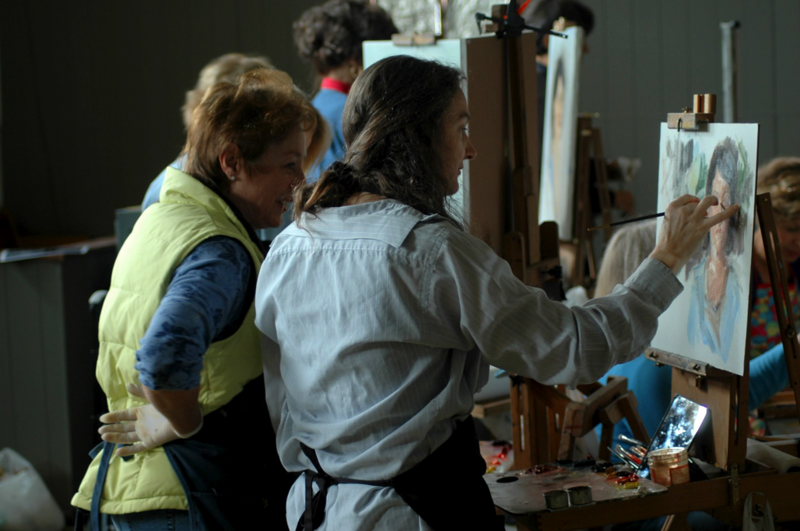 During her workshops, Rose focuses on easel time with each student and welcomes discussions on art, being an artist, and how we see ourselves in relationship to the creative experience. Participants often have meals together in Maquoketa and surrounding towns, continuing the discussion and camaraderie. Rose and her husband, artist Charles Morris, also offer a tour of Old City Hall Gallery. Rose's parents, Wayne and Ellen will welcome and assist throughout the week. The cost for the workshop, including model fees, is $850. Next workshop date TBA. Please use the form below if you would like to receive information about upcoming workshops.